Officer Beddingfield has been a sworn law enforcement officer since 1990. He has worked in virtually every law enforcement capacity. Chief Beddingfield has a B.S. Degree from Gardner Webb University and his M.P.A.-Criminal Justice from UNC Pembroke. Officer Beddingfield was the chief of Columbus Police Department from 2011-2018 when he excepted the Police Chief position for the Town of Biltmore Forest. Beddingfield is still a part-time police officer at Columbus and handles bikesafenc and any other police motorcycle related event or training. Officer Beddingfield has been riding motorcycles since the age of 4. He raced motocross off and on for 30 years. He won the Southeastern Mega series in 1994 and finished second on two other occasions. Officer Beddingfield began riding sport bikes at the age of 16 which led to organized track days and club racing. Chief Beddingfield has attended corner speed road racing school and has held a novice CCS racing license. He still participates in organized track days. Chief Beddingfield currently works as a crew member with several different teams in the ama-pro/motoamerica road race series. 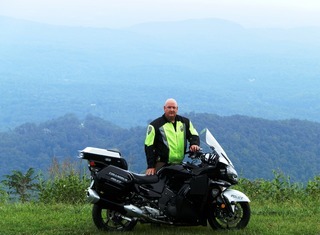 Chief Beddingfield graduated BikeSafe assessor school in 2012, and N.C. Highway Patrol Motor Officer School in April of 2013. Chief Beddingfield completed IPTM's Police Motorcycle Instructor Course in Novemeber of 2014. The Chief currently rides a 2011 R1 on the street, an R6 on track, and patrols on both the Kawasaki Concourse 14 and BMW 1200 RTP police motors.